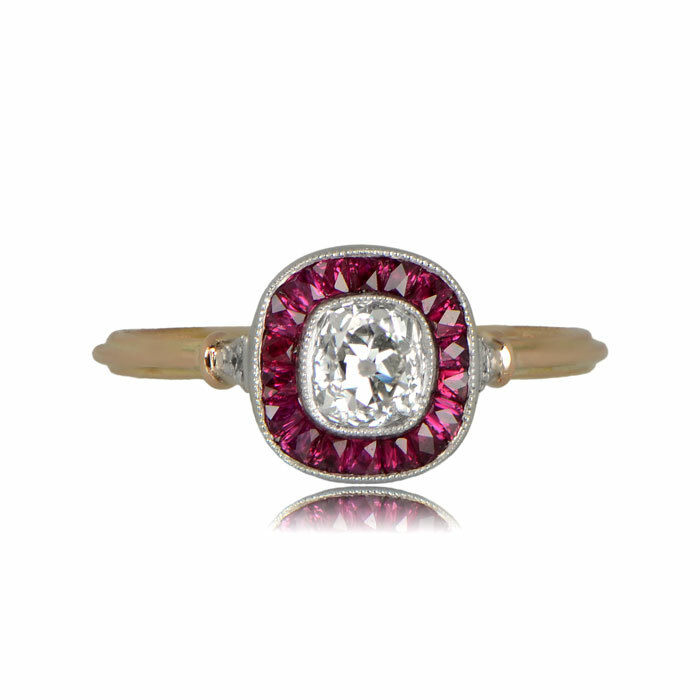 The Dublin Ring exhibits a halo of French cut natural rubies that encases a beautiful old mine cushion cut diamond. The setting is handcrafted with a mix of platinum on top of gold and is accented by diamonds on the shoulder. 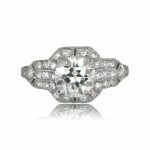 The center antique diamond weighs approximately 0.50 carats, H color and VS2 clarity. The total approximate weight of the side diamonds is 0.02 carats. 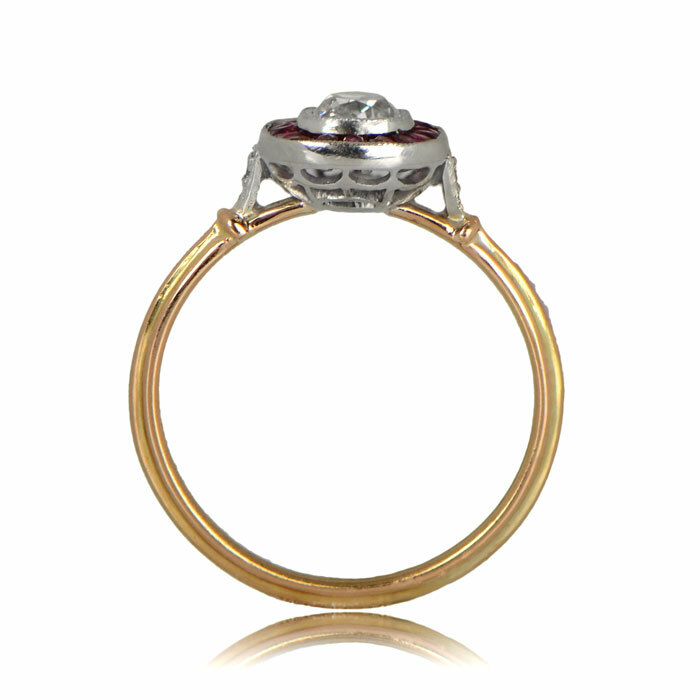 The measurements of the center diamond is 5.27mm x 5.27mm. 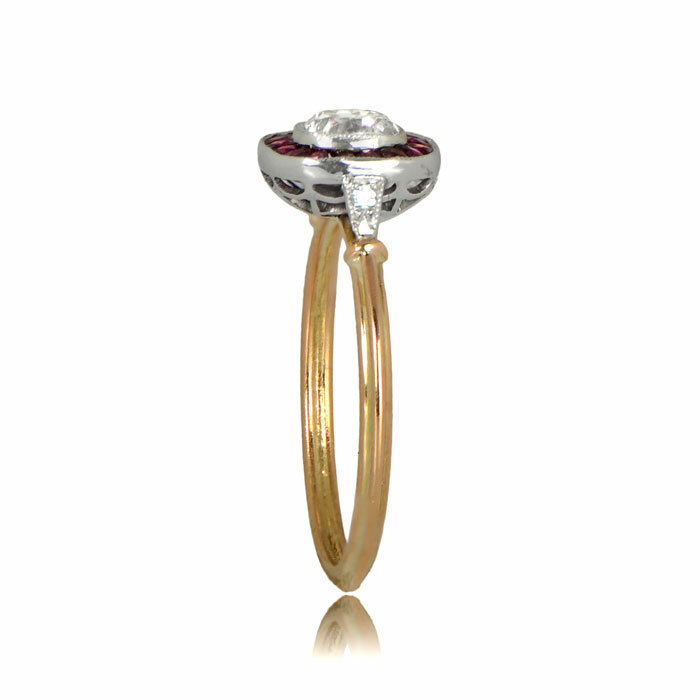 The measurements of the ring with the natural ruby halo is 8.94mm x 8.6mm. 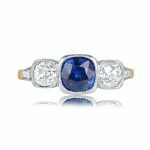 SKU: GS411 Categories: Cushion Cut Engagement Rings, Vintage Engagement Rings - Contact us and request additional pictures.